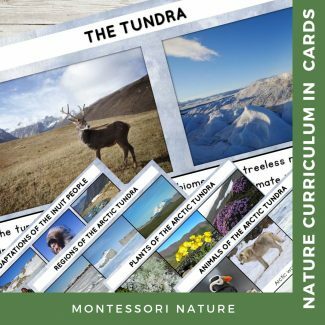 The Tundra Biome is a learning set containing 3-part cards, description cards, information posters, student booklets for coloring and practicing handwriting and research worksheets for students to learn about the tundra biome. Students will learn about the main characteristics of this ecosystem, animal, plant and human adaptations. The printable features photographic images and clipart (as a part of student worksheets and posters). 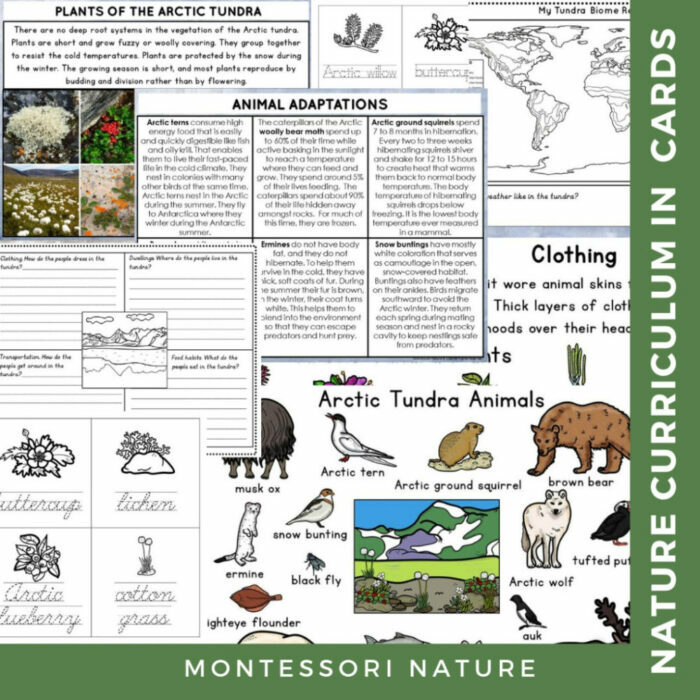 3-part cards on Animals of the Arctic Tundra, Plants of the Arctic Tundra, Regions of the Arctic Tundra and Regions of the Alpine Tundra. The printable is suitable for children aged 3-8.